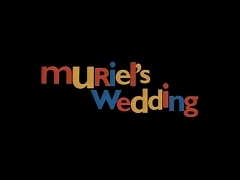 Muriel's dreams of marriage finally come true...sort of. Muriel replies to a personal ad in the newspaper, but the situation is far more interesting than it originally appeared. Muriel's father tracks her down in Sydney, adding to the growing stress of her new life. Real life hits Muriel and Rhonda, but they promise each other to keep going together. Muriel gets a double dose of bad news, one piece about her father and one about her best friend, Rhonda. Muriel fully commits to being a new person in her new life with Rhonda in Sydney, exploring dating and the club scene for the first time. Rhonda and Muriel enjoy the spoils of their contest win and reflect on life under the stars. Rhonda drops some knowledge on the mean girl clique from her high school days, causing serious disruptions. 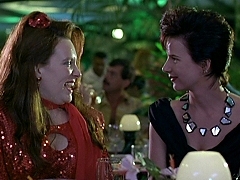 Muriel meets Rhonda, a rambunctious brunette whose "whole life is one last fling after another." When Muriel's image begins to bring unwanted attention, her friends decide its time to part ways. 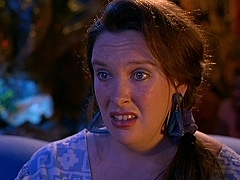 Selection of deleted scenes that were cut from the final version of "Muriel's Wedding". Courtesy the National Film and Sound Archive of Australia. 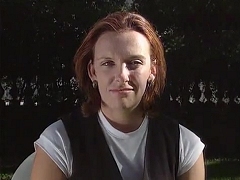 Making of for "Muriel's Wedding" with scenes from filming and interviews with the cast, including Toni Collette, Rachel Griffith, Bill Hunter and the crew. 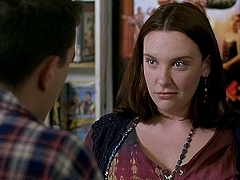 Press junket interview with Toni Collette in New York to promote the theatrical release of "Muriel's Wedding" in the United States. 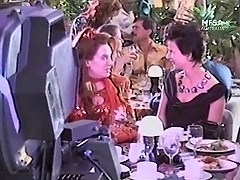 Toni Collette and Rachel Griffith are interviewed on the set of "Muriel's Wedding". Footage from rehearsals of the Hibiscus Island holiday scene, featuring Toni Collette and Rachel Griffith. Courtesy the National Film and Sound Archive. 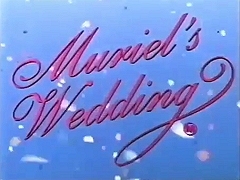 Home video trailer for "Muriel's Wedding", directed by P.J. 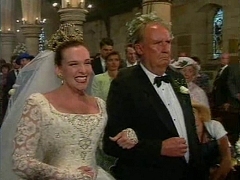 Hogan and starring Toni Collette, Bill Hunter and Rachel Griffith. 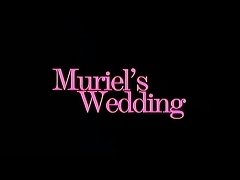 American theatrical trailer for "Muriel's Wedding", directed by P.J. 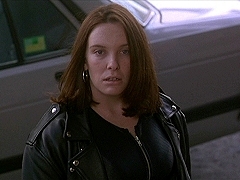 Hogan and starring Toni Collette, Bill Hunter and Rachel Griffith. 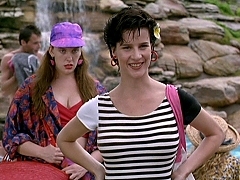 Australian theatrical trailer for "Muriel's Wedding", directed by P.J. 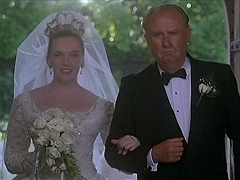 Hogan and starring Toni Collette, Bill Hunter and Rachel Griffith. May 29, 1994. Leigh Sales interviews Toni Collette and P.J. Hogan after the screening of Muriel's Wedding at the Cannes Film Festival. May 28, 1994. Report from the Cannes Film Festival's world-premiere of "Muriel's Wedding", including interviews with P.J. 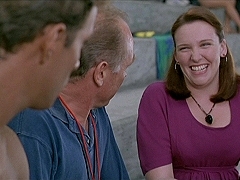 Hogan and Toni Collette. May 31, 1994. Interviews with P.J. Hogan and Toni Collette before the world-premiere of Muriel's Wedding at the Cannes Film Festival.